The Francis Young, Maurice Brumer and Jacob Raphaelson Scientific Study for Threshold Nearsightedness Prevention. As you have seen, pilots such as Captain Fred Deakins have successfully restored their distant vision to 20/20. Would you like to clear your distant vision as part of a well organized scientific-engineering team? We need a group of highly motivated aeronautical engineers to work on this project with us. 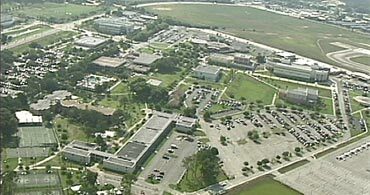 Embry-Riddle would be the ideal location to make that type of scientific commitment with excellent results. You would be responsible for all of the measurements and the ultimate success of this prevention work. Do you need to maintain naked-eye 20/20 for flying? Do you wish to do this work in a disciplined, engineering environment by your own judgment and control? Other pilots have done it -- why not you?